We had concluded the Bible study and were visiting afterwards. Everyone started picking up their books, Bibles, and drinks and clearing out. I stacked a book on top of my Bible and reached to grab my purse. That’s when I noticed the young man gently dismantling my pile. I smiled, placing my lopsided new pile under my arm and heading out the door. While I knew I had done nothing wrong, it was a good reminder from this new Christian. He had a reverence for God’s Word like few people I’ve known. When it was opened, he listened intently. When he read his copy, he held it so gently, turning the pages gingerly. During the sermon, he leaned forward, eager to learn more about God. He had received his one and only Bible when he was a young man. He regarded it as a great treasure to enjoy and share. What is my attitude toward the Bible? I’ve had so many different copies over my lifetime that it’s hard to count them all. There was the tiny white Bible I carried to church as a child. Later I received several more as gifts. Now I even have 1,472 different versions available on my phone, if one can fathom that. Do I give this most wonderful gift the top priority in my life? There are so many competing voices vying for that space. Social media, television shows, and the world’s wonderful array of distractions all fight. Will I defend God’s Word as first place? If so, what’s my strategy for doing so? What can I take off the pile? How can I restack so the Eternal dictates the rest? Father, Your Bible is a magnificent treasure. 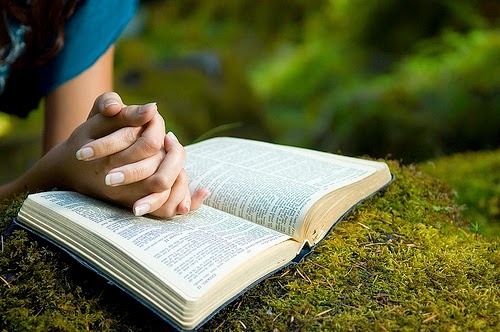 Help me to make time to read and absorb Your precious Words for me.